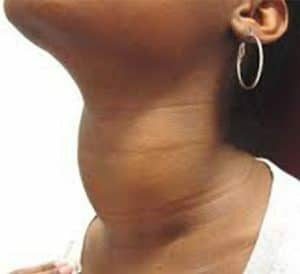 Abnormal growth of the thyroid cells, which located below the Adam’s apple in the front of the neck. 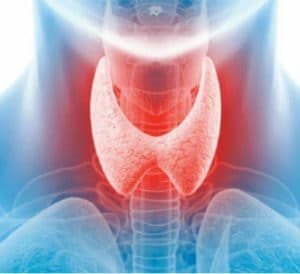 A diet low in iodine: Follicular thyroid cancers are more common in areas of the world where people’s diets are low in iodine. Radiation exposure: Sources of such radiation include (certain medical treatments and radiation fallout from power plant accidents or nuclear weapons), Having had head or neck radiation treatments in childhood. 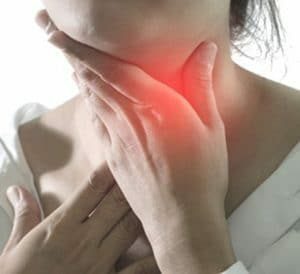 Family history: Having a first-degree relative (parent, brother, sister, or child) with thyroid cancer, even without a known inherited syndrome in the family, increases your risk of thyroid cancer. Genetic testing for patients who have a family history of the disease. Preventive surgery for people with a family history of thyroid cancer. Recommend that people examine their necks twice a year to look and feel for any growths or lumps.